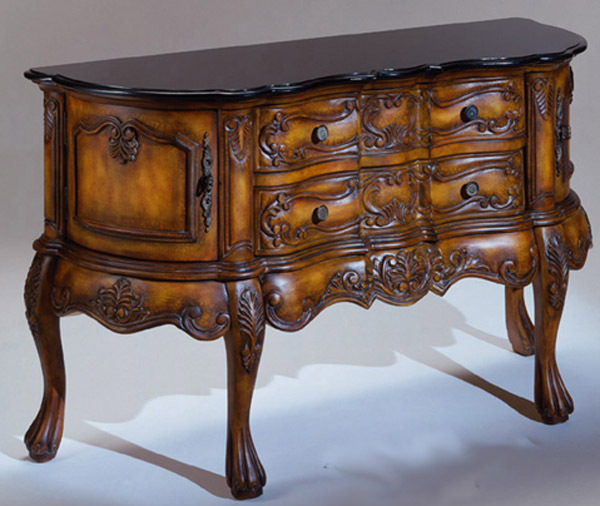 Description: Carved legs with 2 Carved Panel Doors and 2 Felt Lined Drawers. The solid Black Granite top is scalloped and makes this piece one of the most elegant pieces you'll ever own. Availability: Current Item Dimensions: 54"x19"x33"